"Treasured Sunrise" was started in 2010 in the beautiful Treasure Valley of Western Idaho. A new beginning for our family, the name was fitting. We were blessed with a dairy to rent near Fruitland, and learned the ropes of dairying. 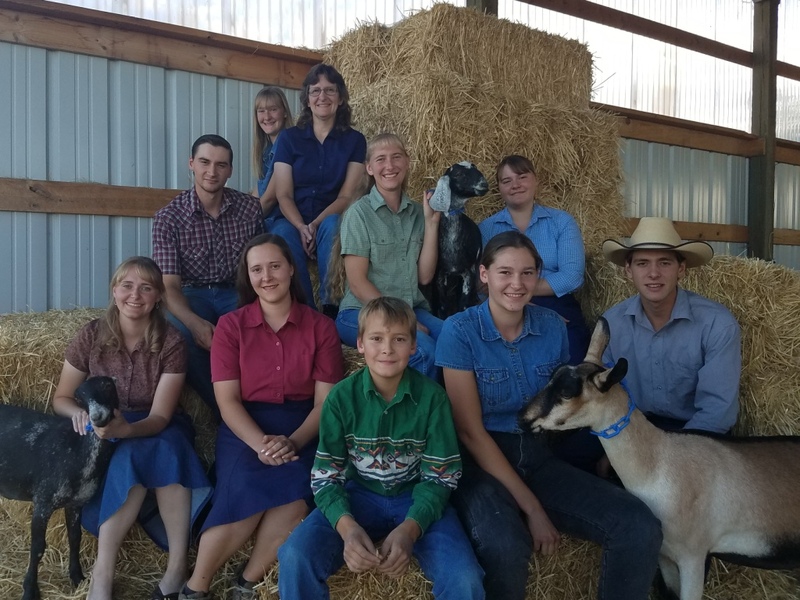 With no commercial outlet for goat milk at that time, nor the small herd program, we turned to the Grade A raw milk certification, and received our license to sale both raw goat and cow milk for human consumption that first summer. We were later able to acquire a dairy of our own, our current location, for continuing expansion. The dairy has since went through some changes with our Jersey cow herd moving on in the spring of 2018, and the beginning of the natural grain business. We are a small family run dairy farm with no employees. Welcome to Treasured Sunrise Acres! Our fresh milk is produced from healthy well cared for dairy goats of all breeds. They graze the large irrigated pastures during the growing season and are also supplemented with quality alfalfa hay from local farmers, and a non-GMO grain mix we personally make! The grain ration includes oats, barley, peas, flax, and a mineral/vitamin/probiotic mix. We are not certified organic but we do our utmost to feed and care for the animals in an all-natural way. keep a small amount of milk and feed stocked. Goats, feed, or supplies may often be transported to other areas if we're traveling that way for another reason. Below are a couple routes we often take. Welcome to contact us for questions or to be put on our contact list.